Let’s work with the first part of the first story in the fascicle “One Bright Jewel”. Gensha was a lay person and he loved fishing. He fished on his boat mingling with other fishermen on the Nantai River. He might not have been waiting even for the Golden–scaled fish that comes up by itself without being fished. 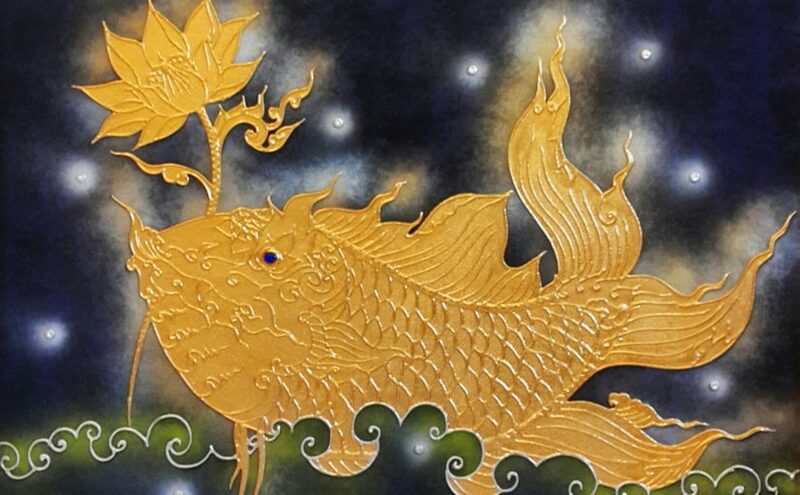 This is a beautiful image – the Golden Fish. This is an image for Buddha-nature or an insight. This story is working with the question – is enlightenment received through our effort or through effortlessness? 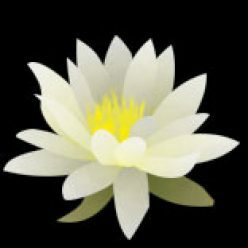 We could add using Zen language, is enlightenment sudden or gradual and how does it come? The point of many of Dogen’s teaching is that the opposites, in this case, effort and effortlessness, are dynamically working together and co-arise. You can’t separate the universe into the opposites – they work as a whole – the whole dynamic working of the universe. So, we have to make some effort. We have to come to retreats, we have to meditate, we have to study and get some pointers or maps explaining the direction of our practice, we have to show up and be taught. The fishermen have to be in the boat; get up early, have all their equipment together, row and throw the line. But there is also the pause, the space in between, the “not trying” – the receiving of the Dharma. We turn the Dharma wheel and then the wheel turns us. The golden fish jumps into the air and lands in the boat without being fished. They often say, without being hooked. We can’t will an insight to happen. It jumps up from a “don’t know mind” and lands in our lap. And then we say, “ooohhhh.” An insight comes when our minds have relaxed and our bodies are open. When all the causes and conditions line up, we will receive something entering our karmic consciousness as an insight. When this happens, the Dharma wheels is turning us. Then the hard part of integrating our new understanding into our behavior. The next part of the story is that Gensha sees the impermanence of life and leaves his lay life and enters the monasteries. One translation calls it – realizing the precariousness of the floating world and the preciousness of the Buddha Way. A few bits of added stories from the myth of this teaching are about his father. Who knows what parts of this story goes along with fact? But in one version it is said that he was fishing on a boat in the night with his father and his father fell into the water and died. That is his experience of impermanence. Are myths true? There is a whole other story, maybe historical fact, that Gensha was not a fisherman at all and was from a wealthy family similar to Dogen. A Buddhist monk visited Gensha’s house, talked all night long about the Dharma and Gensha was convinced enough to join a monastery. Sometimes in Asian culture, it is easier in the stories to say that the parents have died. There is a very strong standard that you should take care of your parents and not abandon them. Which, actually is true in our culture as well. So often these myths include the death of a parent. But even so, didn’t we all come to Buddhism because of some kind of realization of impermanence? In this fascicle, Dogen chose to go with the story version of his being a poor fisherman and his father dying. Okumura Roshi talks about the “Dharma fishing everyone.” Why did you come to Buddhism? Was it your “will” or were you fished? We are often lost and because of hunger, doubt, and feelings of emptiness, we our in the perfect condition for our teachers and the sangha to hook us, and the golden fish jumps into our boats.